UDM Downloads > Desktop Dozen! Desktop Dozen is a collection of 12 business-oriented productivity tools. Each one offers your choice of interfaces, either standard Windows or a fascinating "skin". 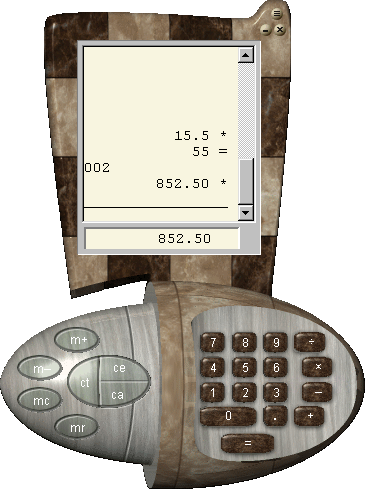 Includes an Alarm Clock, Area Code Finder, Astronomy Calculator, Calendar, Date Calculator, Measurement Converter, Postage Calculator, Printing Calculator, State Abbreviations, Stopwatch, Time Calculator, and Zip Code Finder. Each tool has plenty of options to customize it to the way you want to work. The price can't be beat, with all 12 programs sold together for $19.95. That's just $1.66 each! Desktop Dozen has been awarded a 5-star rating by ZDNet, and a 5-cow rating by Tucows Office. Don't pass up this great collection of high quality software at a very low price.